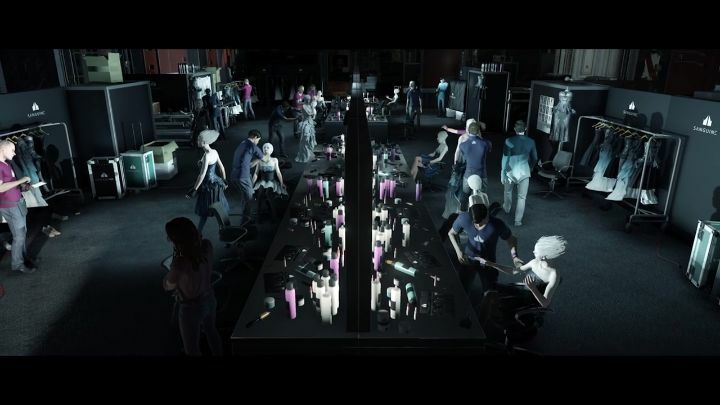 Perhaps one of the most interesting features of IO Interactive’s Hitman video game is its live content, and particularly the game’s “Elusive Targets”, assassination targets that are only featured in the game for a limited period of time. These surely are some of the most difficult missions in the game, and if players fail to complete the mission there won’t be a second chance to put down the Elusive Target, so careful planning and skill are required in order to succeed. Taking down these Elusive Targets sure is hard, then, while game company IO Interactive recently announced that it would soon be adding a “Professional” difficulty level to the game in a patch as well. And the latest Elusive Target (number 19) is now live in the game and appears in Hitman’s Paris episode, which was the setting of the Sanguine fashion show mission. This target is known as “The Blackmailer”, and should be easy to spot as he wears heavy makeup as can be seen in the briefing video above. Aside from eliminating the Elusive Target, players are also tasked with recovering a pen drive containing sensitive information about his blackmail victims, adding an extra layer of difficulty to this mission. 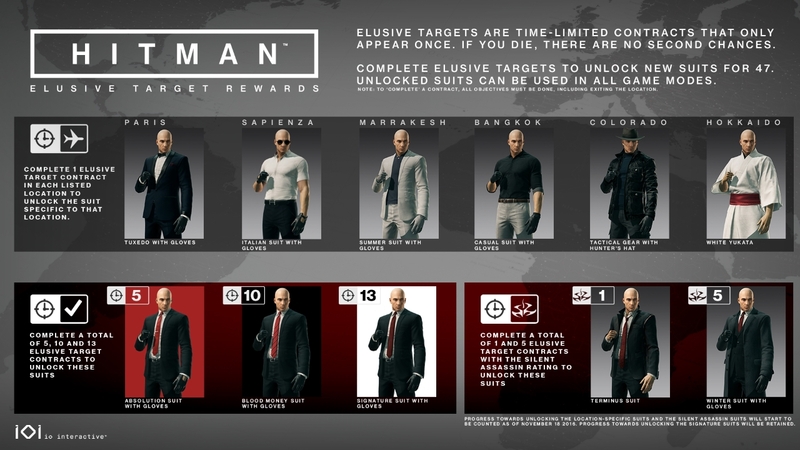 Players who manage to complete the mission will also unlock an extra outfit for Agent 47 to wear in the game (a tuxedo with gloves) if they have not done so already, or earn other rewards as can be seen in the image below. Note: Elusive Target 19 will be available in the game for 10 days (until February 6). Next: Is the PS4 Pro really a “half-assed” console?